Every DaCast user controls their content through the BackOffice (or control panel). It’s an essential part of our service, but for a time, it has needed updating to incorporate the latest web technologies. Well, today the wait is over. 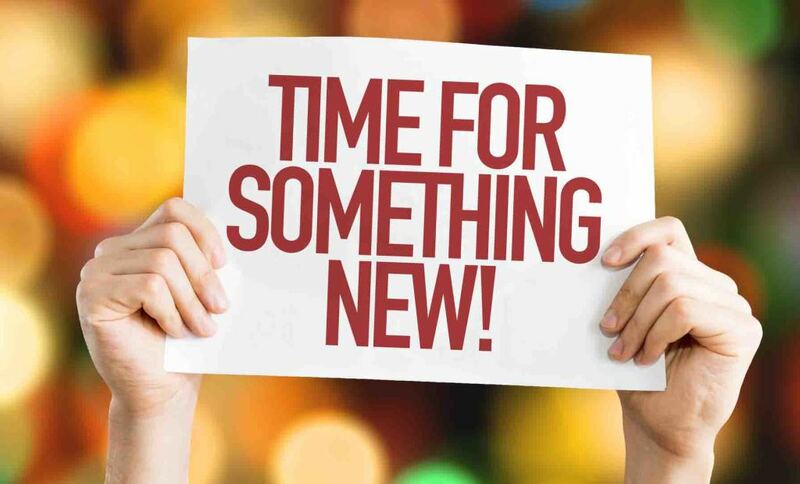 DaCast is pleased to announce that our new BackOffice has been officially released. The new platform provides a wide variety of improvements over the previous version, including improved reliability and speed, compatibility with a wider range of devices and screen sizes, and a number of completely new features. It’s a fantastic update, and—we believe—a substantial upgrade to the DaCast video hosting platform. Our users are going to love the changes (we know we do)! Scroll down to learn more about these updates and how they might affect your workflow—for the better. What is the DaCast BackOffice? The DaCast BackOffice is the platform that our users use to organize and manage their content. This is where you can create a new stream, upload an on-demand video, create a package, build a playlist and so on. It’s also where you can set parameters for monetization, security, access controls, bit rates, thumbnails, and more. In other words, the control panel is the heart of your video hosting on DaCast. It’s where all the magic happens. As such, it’s critical that this system be as user friendly, simple, bug-free, and easy to understand as possible. With this goal in mind, we’ve spent the last six months reviewing user feedback and bug reports, and designing our new control panel to address shortcomings in the previous system—and to introduce some totally new features. The new system is finally online, and we’re very pleased with how it has turned out. Let’s discuss some of the new features. The previous DaCast BackOffice required that your screen be at least a certain width. While this was fine on laptops and desktops with significant screen size, it caused problems when users wanted to use the system on a small-screened device like a tablet or smartphone. It also caused problems when users wanted to use DaCast in a small window to keep space open on the larger desktop. The new BackOffice is a responsive display that dynamically resizes to fit a variety of screens. This minimizes the need for scrolling and zooming, making the platform much more usable on small screen devices like phones and tablets. The system is also optimized for touchscreen interfaces. Responsive web design revolutionizes the ease of using the web, and makes it possible for complex web applications like the DaCast control panel to be just as usable on a 4-inch smartphone as on a professional grade 30-inch monitor. The interface will resize to remain logical and usable on any device without the need for distracting horizontal scrolling. When combined with some of the other changes explained below, the mobile capabilities of the DaCast platform are greatly expanded by this upgrade. We live in an increasingly mobile world. More and more workers do their work via telecommuting, and more and more work is done in the field. Therefore, one of our first priorities for this new update was to increase mobile device compatibility. This fully modernized BackOffice with a new touchscreen compatible responsive design allows broadcasters to very easily manage their accounts from any mobile device, tablet, ultraportable laptop, or new-generation computer. You can even use the DaCast platform on an internet-connected TV. For broadcasters who value constant connection to their service, the ability to access analytics at any time, and the flexibility of being able to change settings and create new streams and packages on-the-go, this feature will be a game changer. However, this changes would be of limited utility without the ultimate mobile upgrade: the ability to stream and upload directly from a mobile device. Once you have more than a few streams and on-demand videos, organization can become a problem. A proper organization system should just work, without getting in the way and without causing other problems. Previously, the DaCast BackOffice used a traditional folder-based system for organization. It was functional, but provided some barriers to usability. Say, for example, that a stream fit equally into multiple categories. There is no way to properly organize files in this situation when you’re using a simple folder-based model. The new DaCast control panel uses an improved tagging and label-based method for organizing your content. This method allows for more flexible organization, since videos, streams, and packages can be tagged in multiple categories, and can be retagged without having to manually change the locations of files in their folders. The system is also faster, and offer greatly improved search functionality—especially for users with large numbers of channels and files. This allows users to search among their content with extreme facility and rapidity, which is extremely useful for those who build up an extensive content library. Other than these changes, the BackOffice retains the powerful and useful organization features present in the previous version. For example, batch configure options allow you to quickly make changes to content, bringing it on or offline, changing visual themes, and designating allowed countries for viewers. All in all, these features allow you to organize and manage your content with as little fuss as possible. The new DaCast control panel is built around our public API—the same API that you can use to develop and control your content in a wide range of exciting ways. In fact, users could use the DaCast API to create a custom control panel similar to our system. We’re using the same platform and tools that are available to you. The power is completely in your hands. The new DaCast API version 2, which was released in February, has been completely rewritten to support billions of simultaneous requests and provide full support to advanced users wishing to develop their own applications around their DaCast-hosted content. This API allows users to create exciting new ways to use their streams, like hosting live streams inside dedicated mobile apps and integrating content into other web apps or other platforms. The new API, built around modern tech standards such as AngularJS, Websocket, and Realtime update, also features complete and revised documentation and an online API tester to make sure your application is interfacing properly with the DaCast servers. 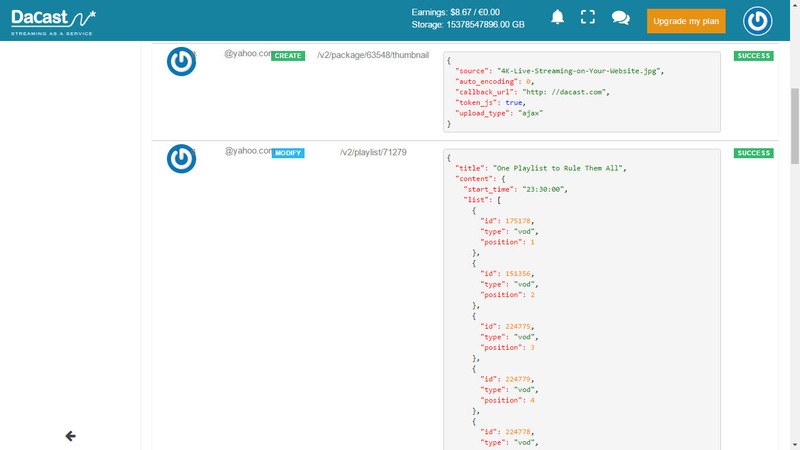 You can learn more about the API on the documentation page. In our new implementation of the DaCast control panel, the API architecture allows users to get faster responses to most operations, improving the overall user experience and speed. As numerous studies have shown, perceived speed is the most important factor when it comes to UX, and our new system is built to capitalize on this for a better experience. This API-based architecture also allows faster updates to percolate down to the user level, meaning that you always get the latest and greatest revisions in the platform as soon as they are available. It also will deliver and ensure improvements in bug fix speed, and ensure that the individual account-level bugs sometimes encountered on our previous system will be a thing of the past. One common issue with the previous DaCast BackOffice was confusion when multiple users managed the same account. Problems would occur when one user would make a change without properly communicating to the other administrators, causing another user to log on and be surprised by changes or make other changes that caused issues. In this way, major issues could snowball and ruin entire projects. This problem has been solved thanks to the new account log feature. This option automatically captures a record of all actions taken on your account, such as video uploads, changed settings, deleted or moved content, tagging and categorization changes, and so on. This new log streamlines the management process for organizations, since multiple users can now catch up on the latest changes made to the account in just one click and a few moments of reading. It’s simpler and easier than exchanging emails or even than having meetings. The account log feature creates a record of actions, making the DaCast platform better when multiple users share the same account and increasing accountability, transparency, and communication—critical factors for any team hoping to streamline their work. The new BackOffice implements a standardized, simple system for delivering updates on product features and other important account news. The system is simply called “notifications,” and uses a standardized dropdown menu with a notification icon at the top of the screen. 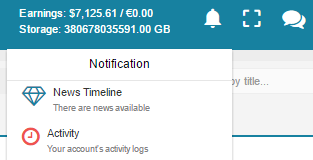 Notifications can be accessed in a single click from any screen in the DaCast control center. Notifications will instantly alert you to important information about the DaCast service and your account, so you can keep being updated on your status, our advancing technology and the best ways to use DaCast for your business or organization. Notifications put you in touch 24/7 with our team and with DaCast’s latest features, but won’t bug you with too much unnecessary information. While the old DaCastBackOffice worked well, it certainly didn’t look very good. One of our goals with the new BackOffice was to create a platform that looked as good as it operated; really darn good, in other words. There are numerous smaller changes to the new BackOffice, not least among them is a new and improved interface that presents your content and settings screens in a colorful, easy to navigate layout. We’ve used a great color palette and modern web design aesthetics to make the control center not only easy to use, but easy to look at. The new BackOffice makes it easier to access your most-used pages, such as Analytics, Account Status, and Preferences via the main menu (which is placed either alongside the main content area, on large screens, or above the content on small screens). Another aesthetic change is that the site now supports full-screen viewing natively, making it easy to maximize limited screen real-estate or just remove distractions. The Backoffice also supports are number of beautiful, low-overhead animations to make it easier to understand how menus and other elements function. This new backend is free for all our users, and has already been rolled out to all accounts. That’s right: it’s ready to use right now! The next time you log into your account, you’ll see the new backend in action. 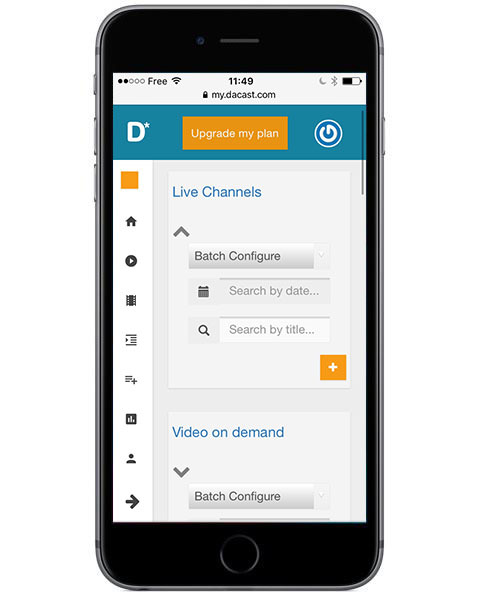 Your DaCast content—live streams, on-demand content, and packages and playlists that bundle this material—plus all your settings, will be automatically transferred to the system with no changes to your data. Both new users and those longtime DaCast clients who were very used to the old platform should find the new platform easy to use. While there have been many changes and improvements, the overall interface is simple and quite similar to the previous version. Main settings are front and center, and more advanced settings are located in logical sub-menus that should be easy to find. However, with any new system, some people may have issues. This is inevitable, but we expect that every single DaCast user will appreciate the new BackOffice after a little bit or practice (if not right away). If you have any problems, questions, or concerns with the new platform, please don’t hesitate to ask for help. You can comment on this post, or feel free to contact our helpdesk (composed of actual DaCast employees, not call center contractors) to get professional assistance. Check it out when login into your account!